After a week where spreadsheets caused controversy – and Markus Riva returned to the competition – the heats of Latvia’s Supernova 2018 drew to a close tonight, with the third and final semi-final. Seven acts took to the stage, all hoping to get one of two spots up for the grabs in the final. In the end, it was Laura Rizotto and Lauris Valters came out on top of the competition, leaving the other five semi-finalists in the dust. In our pre-competition Wiwi Jury the two acts fared very differently: Laura was our runner-up with an admirable 7.46/10, whereas Lauris ranked significantly further down the table, making it onto the leaderboard with a distinctly average 5.29/10. Our readers are likely to be both pleased and disappointed by tonight’s turn of events. When we asked you who should win Supernova 2018, Laura placed in the top five, taking fourth place with 5.18% of all votes cast. Unfortunately, Lauris was actually your least favourite of all 21 acts in Supernova 2018, placing bottom of the pile with only 0.44% of all votes cast. Tonight’s qualifiers join Liene Greifane, Edgars Kreilis, MADARA, Ritvars and Markus Riva in the Supernova 2018 final. The show takes place next Saturday, as Latvia’s search for its Eurovision 2018 act comes to a close. What do you think of tonight’s qualifiers? Who do you now think will win Supernova 2018? Let us know all your thoughts in the comments section below! Laura was really good, great performance, very good song. Esamiba is kind of overrated imo,although it is not bad either. I prefer Laura and Markus over Madara personally. And please Latvia stay as far from Liene Greifane as possible. My 2 favourites qualified! I really like both songs!! What’s with the random I love laura comments here! Cause she it the best! Get ready for Riga 2019! FunnyGirl is without some originality at all, remember me from far 80th – Whytney’ Houston “Saving all my love for you… nothing special, sorry! If you like her singing its ok, but song….? First all judges and latvian people speak about singing, but eurovision is a song contest, no? Speaking frankly the singing also was mediocre to compare with world level, really “nothing special” little better like others maybe…this song push me back to 80th really, little improved arrangement, thats all! “Funny girl” was a good act, indeed. But, come on, we have seen tons of things like that in MF, for example. Great choice Latvia! JUst listened to both songs on youtube and already added to my Spotify list. This was one of the best heats/semi-finals/finals of the entire Eurovision season so far (Maybe up there with Hungary’s semi final today). Every single one of the performers brought it vocally and with their performances. It is a shame that Latvia put all of these guys in the same semi-final because I think most of them would have qualified had they been in 1 or 2. For what it is worth, Mionia was probably the best, in my opinion, but any choice would have been deserved! Wiwii’s, please make the poll asking who should win the wildcard. I am pretty confident that Sudden Lights should. I think top 3 will be: 1:Madara (She has by far the most spotify listens, Laura is far behind). 2. Laura, 3: Sudden Lights ( because they are 2nd most listened act in Spotify!). I fully support Sudden Lights winning the wildcard! My second favorite song of Supernova 2018. Laura and Lauris were the performances of the Semi 3. I agree, Esamiba FTW! Laura is my second now. She and Katrine should have qualified! So, no wildcard? The Markus Riva mess-up just removed that opportunity? Yay, Laura! Eurovision 2018 winner, maybe? No wonder Lauris qualified. A positive, energetic song about love combined with a funny performance was a breath of fresh air after all the other songs about pain and heartbreak. Anyone looking for a good song for Eurovision this year? Latvia has two. Madara’s and Laura’s songs are so different, but both great Hard to decide which one should go to Lissabon. It’s a huge pity that one of them won’t make it. But that’s how the game works! I like “Funny girl”, it’s a very good song and the performance was just outstanding tonight. 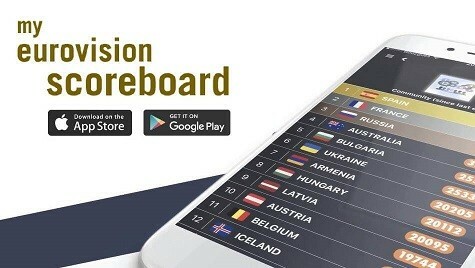 It can give Top 10 result to Latvia in the grand final. BUT… I think that “Esamiba” would be a much better option and it actually could be a chance for Top 5 for Latvia after so many years. Pff… Wouldn’t it be better if we had one of these songs in Supernova 2017? LOL. Both of them are masterpieces compared to last year’s Latvian entry IMO. I don’t want another Blackbird, dude. Just for Laura! Good for Lauris though! I like his style of music. So quirky! Those two performances were the best in the SF, btw. If not existence of queen Madara I would support Ms. Risotto just to have another Laura at Eurovision :P.
So I’ve just listened to all of the seven finalists, and they aren’t that bad. I expected worse. Esamiba should win comfortably, even though it’s Amar pelos dois in Latvian it does stand out. Esamiba got nothing to “Funny Girl.” Have you checked Latvian social networks? Everyone is here just for Laura and not for Madara. Sadly, but true. P.s. Markus Riva is becoming a Latvian meme. Funny Girl didn’t really impress me–it’s a cute song, but it lacks any charm. Either way as long as it’s not Markus I’ll be fine. But Latvians are in love in this song. Latvians are so OFTEN wrong, after all. Perhaps not the song is what Latvians are so hyped about it is the performance that she delivers. No one else in this Supernova has that factor on stage that she has. I personally like Madara’s song more but maybe it is not sometimes all about the song that we send. Does anyone even like his song? I think everyone here agrees that singing isn’t for him. I, for one, quite like it. How many times it has been shown that if you deliver a great performance you will succeed more than any better song. Take Justs as an example. Song so hyped top 10 for sure but somehow performance let’s it down. And meanwhile same year Laura from Belgium bad song but top 10. I just want our country to be represented well. Many times we send something that could do well but it doesn’t reach its potential. With Laura Rizzotto this year it would be guaranteed a great performance. Justs qualified and finished 15th, which is great for Latvia. > Take Justs as an example. OK, I take Justs as an example. Triana Park as a second one. And my conclusion is that Latvia tends to rather fsck-up their performances than improve them. And please don’t compare Laura Tesoro to anybody, even another Laura – the former is too awesome for that :P.
As said in previous replies Latvia usually does send the right song recently but doesn’t make the performance memorable or natural. Next week final. Then both songs will stand besides. And we will see, wich one Latvians will choose. So realistically speaking it’s going to be Madara vs Laura Rizzotto next week, right? 100%, I don’t see concurents for them. For Latvia to succeed at the Eurovision I guess you have to have only 50% Latvian genes. I’m still wondering, who after the Laura’s perfomance is supporting Madara? Like it’s day vs night. Laura smashed it. Truly a dark horse. Song might not be the best however her live performance is world-class.